A creative hub is not just a building. It’s the people and the activity that use the building. It’s a living process and that means what it is and what it does needs to be kept under constant review; what are we doing, and how, and why? Watershed opened on 1982 in the first floor of two dockside sheds on Bristol’s historic harbourside. We opened as Britain’s first media centre, championing independent media creativity and emergent art forms, and have held to the founding principles of open access, cultural diversity and innovation, values which we believe are necessary for any hub to deliver distinctive work and flourish. Since 1999, Watershed’s original focus on film and photography has developed to embrace the cultural and technical change enabled by digital technologies and in 2008 we launched the Pervasive Media Studio; a research space which brings together a network of over 300 artists, creative companies, technologists and academics working on emergent ideas, experiences and applications which explore the possibilities released in the fusion of art and technology. Collaborating with Bristol’s creative and tech clusters, and researchers from both the University of the West of England and the University of Bristol, Watershed has built an international reputation for pioneering creative technology collaborations which cross cultural, commercial and academic sectors. How diverse is the network? To make interesting things you must work with people who are not like you. We actively create diverse programmes and networks, seeing difference (of people, experience and culture) as an asset. How open are we? Do audiences feel welcome? Are artists pitching ideas? Do collaborators feel they can trust us to support and champion their ideas? Are we nurturing the eco-system? Are we hospitable and caring? Are we listening? Are we avoiding creating new institutional hierarchies, bureaucracies, cliques or silos? Is someone else doing what we do better than us? If they are, then it’s time for us to move on to explore something new. Are we taking enough risk? Are we researching and investing in new areas of programme and collaboration to ensure we remain relevant? Are we making the world a better place? For Watershed that means a commitment to screening cinema from the people and places that don’t get mainstream distribution to offer audiences new ways of seeing the world. It means supporting young people to fulfil their creative potential outside of formal education, in ways that are meaningful to them. It means providing a home for creative innovators that often don’t fit into an art form or sector because they are creating something different and new. It means engaging creative people in designing our future world to ensure it is inclusive, appropriate and magical. Every day we get better at the questions, and for any Hub that seems more necessary and important than always knowing the answers. 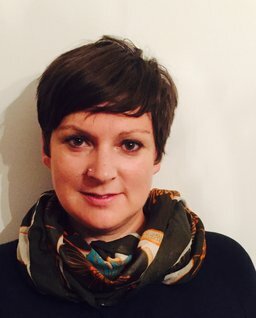 Clare Reddington is Creative Director at Watershed, in Bristol, England.